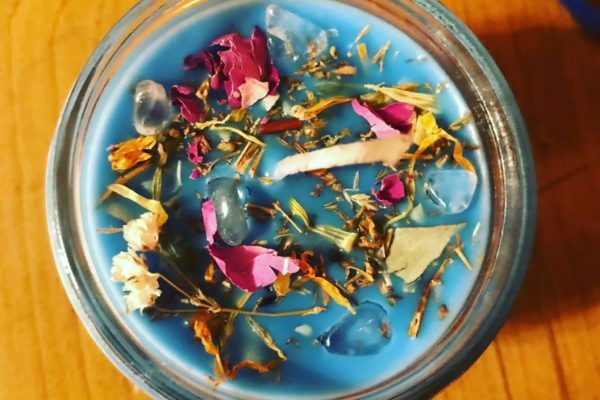 Merry meet, this listing is for our biggest candle yet. 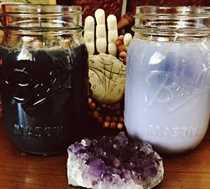 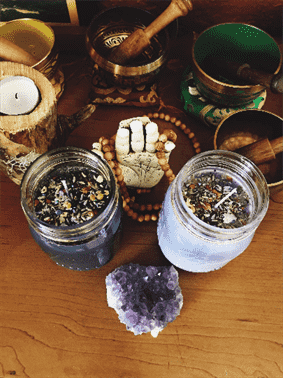 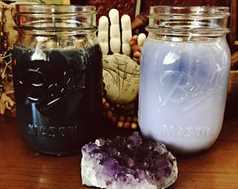 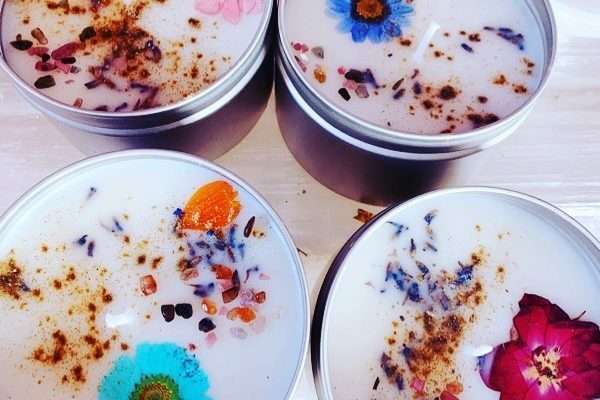 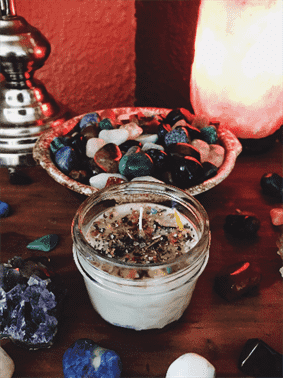 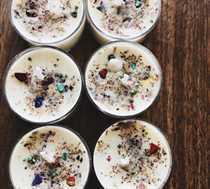 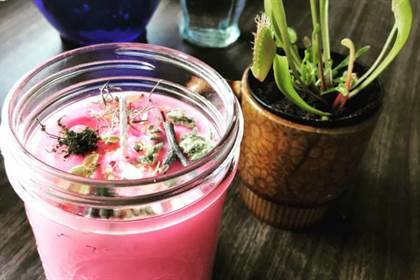 16 oz mason jar candle infused with herbs and crystals for protection, divination work and many other custom blends available! 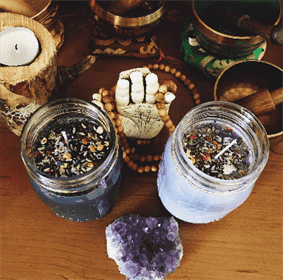 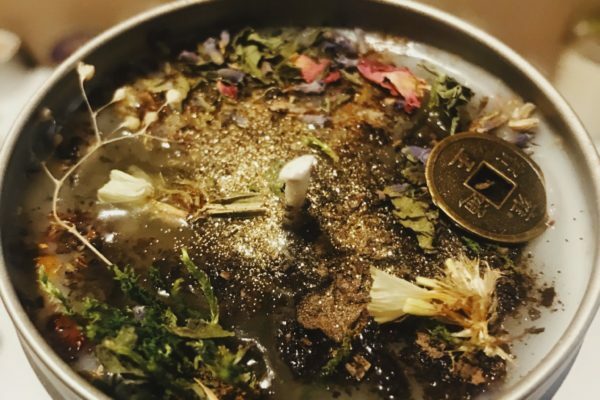 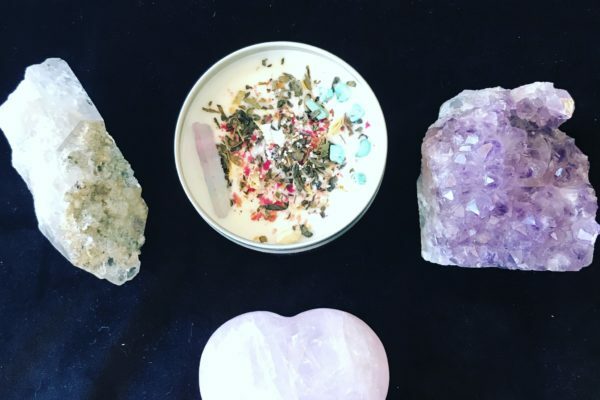 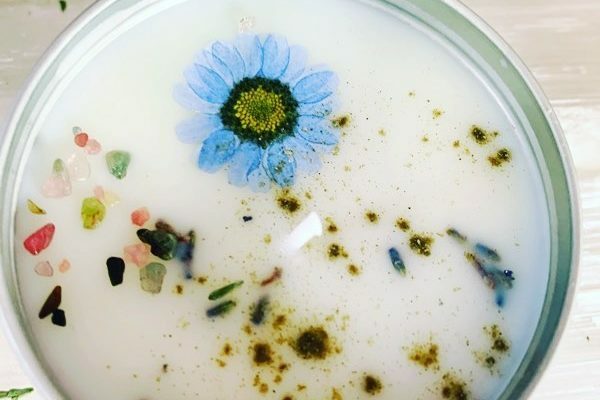 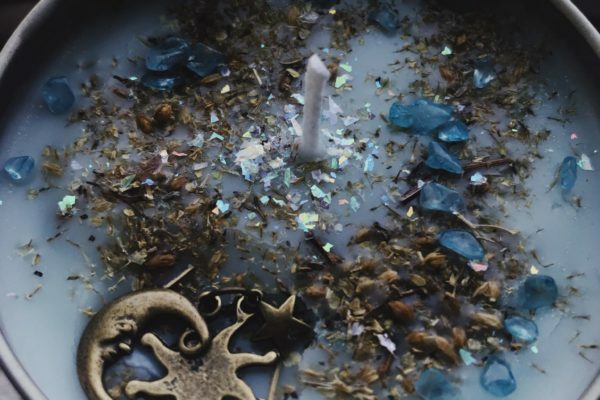 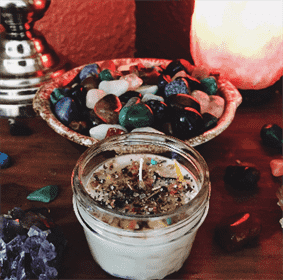 Candle contains a mix of herbs as well as healing crystals to provide the right amount of atmosphere.